It is fantastic to see lots of Companies that are already getting involved in the Juniors 100 celebrations across the Brigade. As we continue to move through 2017 there are many of ways you can get involved through the Juniors 100 Challenge, International Team Games, The Big 100 Birthday Party as well as other resources and ideas to support your programme. 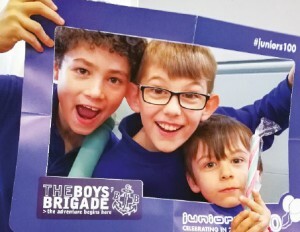 Please send your pictures and news reports to newsdesk@boys-brigade.org.uk and use the #juniors100 on social media.